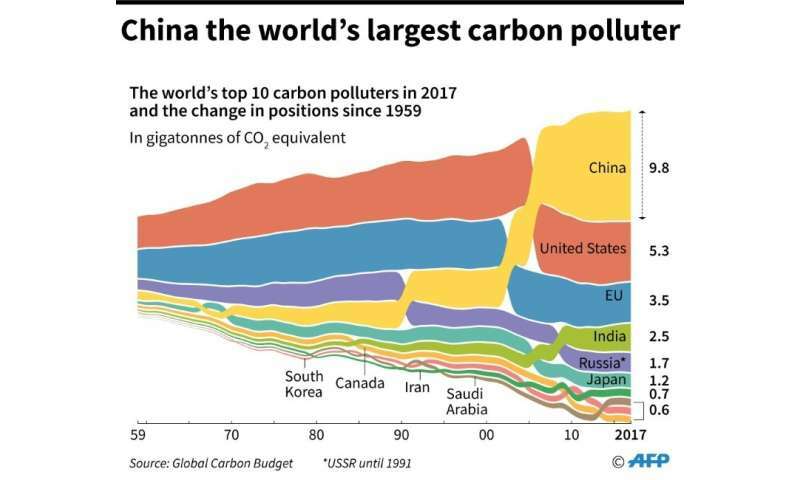 The world's top 10 carbon polluters in 2017 and how positions have changed since 1959. 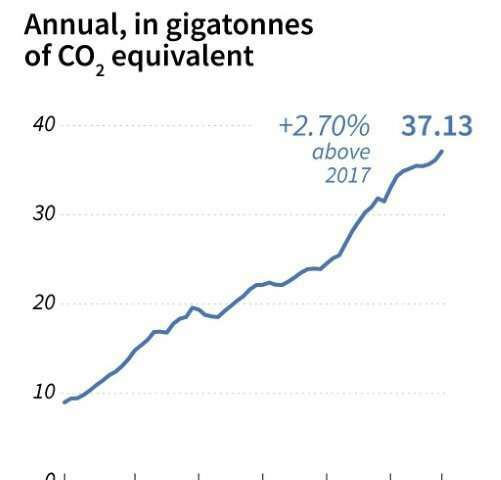 "Emissions will continue to rise, rhetoric is increasing but ambition is not—we are completely off course," said co-author Glen Peters, research director at the Centre for International Climate and Environmental Research in Oslo. "While there has been positive progress on clean energy and electric vehicles, this is currently too small to impact the onward march of fossil fuels." The UN Intergovernmental Panel on Climate Change (IPCC) has said that CO2 emissions must drop 50 percent by 2030—and reach "net zero", with no additional leakage into the atmosphere—by 2050 if the rise in Earth's temperature is to be checked at the safer limit of 1.5C. 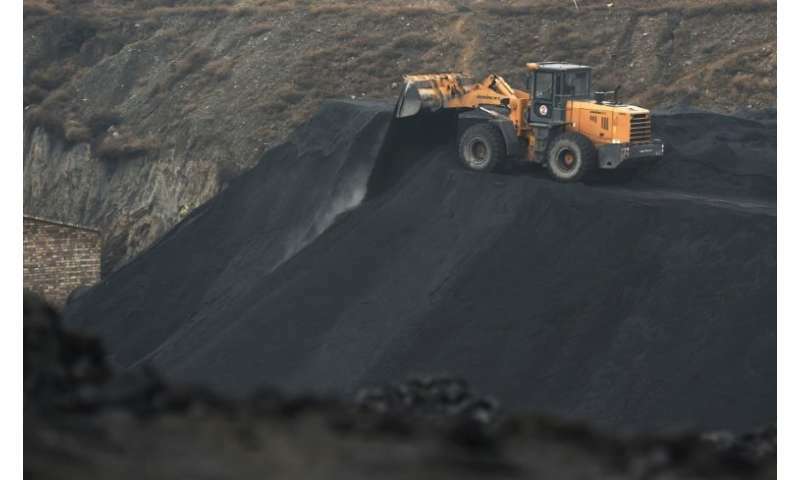 India's emissions, seven percent of the total, continued their upward spiral, increasing more than six percent, with growth across all three major fossil fuels. 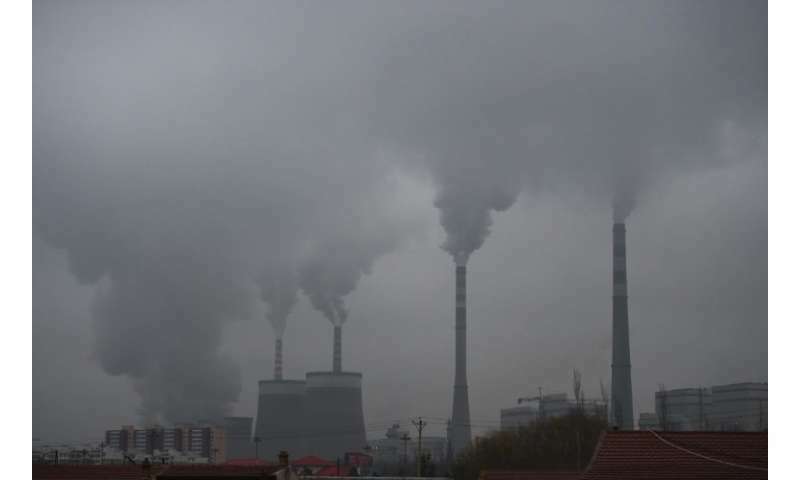 "Set against a background of collective delusions, partial accounting and just plain lies, emissions will continue to rise," said Kevin Anderson, a professor of energy and climate change at the University of Manchester. "It's time to grow up and smell the coffee." "If this is the most important issue of our time, as leaders repeatedly say, then why aren't they acting accordingly—and showing up for the climate talks? ", he said. It should still be remembered that, only a few weeks ago, it was mentioned widely that a "peer reviewed" paper in "Nature" magazine turned out not to be telling the truth. It predicted that the temperature of the world's oceans was much, much higher than predicted. Actually, that was untrue. In fact, it's been revealed that up to 90% of all "peer reviewed" papers in "scientific" journals make predictions that are irreproducible. And it seems likely, if not definite, that at least some of those will have been about "climate change"! And what if those articles in error are used as the basis for other articles which contain error? The warnings and insistances that so many swear by likely come from articles that are wrong all the way through. To make sure research carries the truth, IPCC uses confidence levels (one can see in any ipcc report). They use studies from many decades, by different authors at different times at different geographic locations. Most probable results indicate that global warming has severe impact on environment and humans. Predictions and projections are always questionable and are often incorrect, but trends are not incorrect. These trends are deduced from direct observations assimilated by tons of satellite data across the globe. I myself had questions on it, but when I worked on the data and models myself, I came to know the reality, which is that climate has already warmed and we are currently going through it.